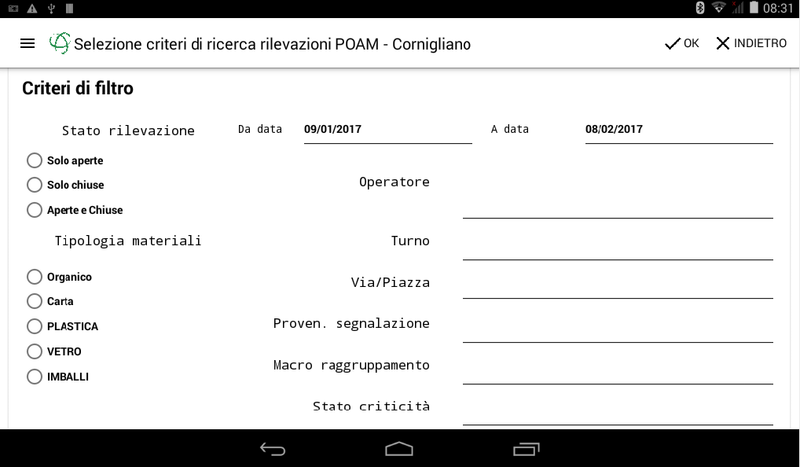 Reggio Emilia, Italy – March 8, 2017 – Cleis Tech s.r.l., a pioneer in the development of digital transformation systems for the private and public sector, has successfully launched its Genero Mobile based waste management solution named ‘RPOAM’ for use by law enforcement agents (POlizia AMministrativa) working for the Genoan urban hygiene agency “Azienda Multiservizi e d’Igiene Urbana” (AMIU). 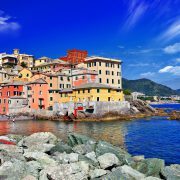 The integration of Genero Mobile with our existing systems has enabled significant efficiencies, economies and a cleaner city for the citizens of Genoa. Agents scour the city for anomalies or uncivil acts such as ‘fly tipping’ by citizens, businesses or shop-keepers. When they find one, they document it with geo-localised images taken from their mobile device, which contains a detailed street map of Genoa. RPOAM runs on Android tablets today in ‘on’ or ‘off-line’ modes thanks to Genero Mobile’s embedded virtual machine. If there’s no network, data can still be processed on the device to be later synchronized via Web services with a back-office server running Linux. The application’s specification was extremely complex and for economic and productivity reasons, Cleis Tech needed to use the same code on both the server and the mobile device. This means that agents and other users have access from other systems such as MS Windows®, MacOS® or a Web browser. This reuse of code saved precious development time and was the driving force behind using Genero. Cleis Tech’s innovative solution delivers unprecented benefits to the city: administrators now have real-time, shared hygiene updates, which streamline agency business processes and cut down on inter-departmental meetings and travel. The solution also contributes to the fulfilment of the citys’ ‘paperless office’ objectives, which in turn reduces human error. Trials are currently running in the Ponente and Levante districts before the service is rolled out to the whole city. Cleis Tech are talking to other urban waste authorities in the region. Founded in 1986 the AMIU employs 1,500 people that take care of the entire urban garbage cycle. AMIU (Multiservice Company and Urban Hygiene) was founded in 1986 to take care of the entire cycle of municipal solid waste, activities hitherto carried out directly by the Municipality of Genoa. A few years afterwards it was transformed into a special agency under Law 142 for Italian local authorities to manage the economic and commercial aspects of its mandate. In 2002 AMIU took the form of a joint stock company, completing the evolutionary path that later lead it to become a group, which governs the statutes of its activities. In the more than twenty years since its establishment, AMIU has become one of the leading Italian operators in the environmental sector. Today the company covers all services related to the management of waste and the environmental cycle: from street cleaning to recycling, treatment of waste for reclamation, up to the management of recycling facilities and final disposal. Constant investment in equipment and technology have become the norm and allow it to meet the needs of a complex city like Genoa, characterized by being the largest historical center of Europe, a large port and a very varied urban morphology. Its mandate was further confirmed in the Covenant of Mayors, signed by the mayor two years ago. This agreement provides for the implementation of sustainable policies in the environmental sector with efficiency gains, increased use of renewable and waste reclamation. An effective way to combine local issues with global scenarios. Cleis Tech s.r.l. is a provider of turnkey solutions and services for complex information system infrastructures. Its capability to design and deliver IT systems architectures, as well as to provide the necessary services to implement them, is how Cleis Tech differentiates itself in the market. Cleis Tech’s target market consists of organizations equipped with medium to high complexity IT systems, in the private and public sector.